The Food-Climate Connection + Summer Specials! I would like to announce an upcoming event that I am quite excited about. 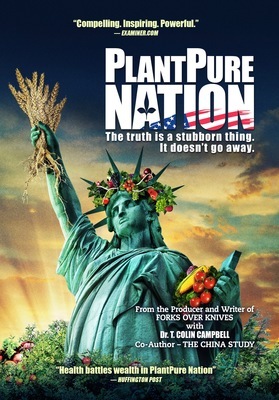 On Wednesday, August 8, I will participate in a PlantPure Communities’ Interactive Webinar on the Food-Climate Connection. I will be joined by Peter Lehner of Earthjustice, and together, we will focus on the climate impacts of our food choices. We hope to find some common ground, and from this first step, advocate a larger strategy to foster greater alignment between nutrition and climate advocates. Also, if you would like to learn more about my views on this topic beforehand, you can check out this video from one of our Healing America events. With summer winding down and the school year about to start, now is a great time to stock up your freezer with our delicious, quick, convenient, and healthy meals! Plus, this special contains the best of both worlds, with 5 entrees from our Mild/Comfort collection and 5 from our International collection. 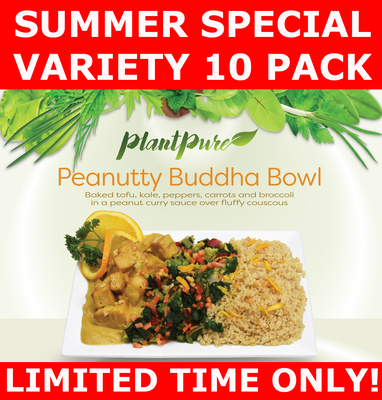 Once these special packs are gone, they’re gone, so order today! 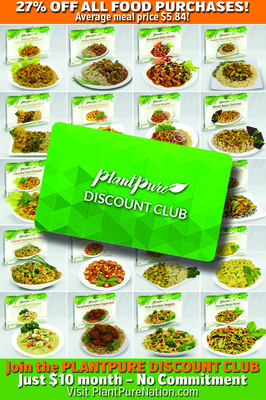 Before Jenna Durst began her PlantPure Corporate Wellness Jumpstart at her company, she would have described herself as a healthy eater. She ate smoothies for breakfast, large salads for lunch, and only had meat at her evening meal, along with a little dairy for dessert. By American standards, most people would consider this a "healthy diet". Jenna’s employer, APG Electric, decided to run corporate PlantPure Jumpstarts for their employees. Because she serves as the company’s Health Plan Administrator, Jenna decided to participate in the first pilot Jumpstart. The first step in the program is the collection of biometric data, and this was an eye opener for Jenna. She was surprised to learn that her starting total cholesterol was 216 mg/dL and that her LDL cholesterol was 140 mg/dL. Because she had a family history of high cholesterol, these numbers concerned her. The Jumpstart began and Jenna found the meals convenient and delicious. The only challenge for Jenna was not eating processed snack foods! On day seven of the program, participants were retested (normally this is done at the end of 10 days, but there was a scheduling error). 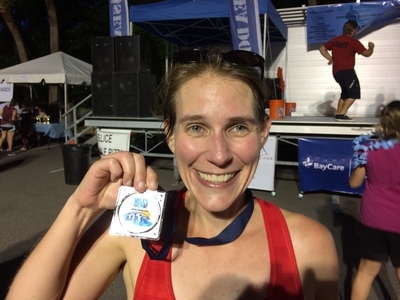 Jenna was surprised and delighted to find that her total cholesterol had dropped a whopping 41 points, down to 175 mg/dL, and that her LDL had dropped 33 points, down to 107 mg/dL - and all this in just seven days! Since the Jumpstart, Jenna has continued eating a plant-based diet and is gently nudging her husband and children to consider doing the same. Jenna has seen the results for herself and is enjoying the new lifestyle and helping to spread this very important message. The Food-Climate Connection - What We Eat Matters! 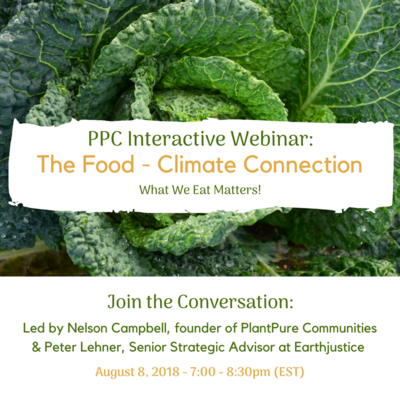 Join PlantPure Communities for their first Interactive Webinar on the Food-Climate Connection! This dialogue, led by Nelson Campbell, founder of PPC, and Peter Lehner of Earthjustice, will focus on the climate impacts of our food choices. We have great expectations that these two leaders will find tremendous common ground and that this will mark the beginning of a historic collaboration between nutrition and climate advocates. Register today! Zucchini bread was always a staple in our house during the summer months when my father over-planted zucchini in his garden. There was no end to the creative ways we could use zucchini. 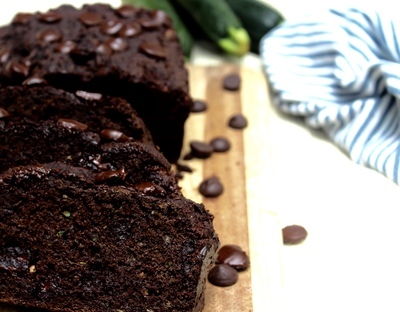 I’m a chocolate lover at heart, so one of my favorite ways to use fresh zucchini is by turning it into a chocolate delight! Zucchini has so much moisture there’s no need for adding eggs, oils, or butters to a naturally rich and dense quick bread. You’ll love this moist chocolate treat for breakfast, lunch, dinner, or snack! Combine the flax meal and water, set aside. In a medium sized bowl, mix together the flour, cocoa powder, cinnamon, cayenne red pepper, baking soda, baking powder, chocolate chips, and salt until well combined. In a separate bowl, combine the applesauce, milk, balsamic vinegar, vanilla, coconut sugar, and zucchini. Add the wet ingredients to the dry ingredients along with the flax meal and water mixture. Stir until just combined, don’t over mix as this will create a tough bread. Pour the batter into a parchment lined bread pan and sprinkle the remaining 1/4 cup chocolate chips on the top of the batter. Bake for 45-50 minutes or until toothpick inserted into the center of the bread comes out clean. Remove the bread from the pan and allow the loaf to cool for 15-20 minutes before slicing.